The period of literary history covered in this book, roughly 1900 to 1950, was a time of unprecedented change – for the world at large, for America, and particularly for women. In 1863, when Edith Wharton was born, America was less than a century old; a woman’s place was in the kitchen, not at a writing desk or in the workplace; and women’s right to vote was several decades away. At the turn of the century, in fact, women had almost no rights under the law – but across America they were plowing fields, helping to complete the settling of the West and the rebuilding of the South. Some – among them Gertrude Stein and Willa Cather – were even attending college. As the twentieth century advanced, many more broke into careers that had previously been closed to them, not the least of which was writing. In the nineteenth century and before, the few women writers who did publish books had often been criticized for their narrow range of subject matter; typically the main theme of women’s fiction was romance. During this century, as women took on a greater variety of roles in society, the literature they produced was thereby enriched. They portrayed a wide range of American experiences – from the hypocrisy of upper-class drawing rooms in New York, to the devastation of the South in the aftermath of the Civil War, to the rigors of the Western frontier, to the turbulence of Europe and the Far East during the times of political change. All of the women profiled in this collection achieved literary distinction against considerable political odds. Edith Wharton faced down the disapproval of her family, struggled with depression, and suffered several nervous breakdowns before emerging as one of the century’s greatest American authors. Others, like Zora Neale Hurston and Katherine Anne Porter, were abandoned children, who produced great literature as part of a struggle for suvival; Flannery O’Connor fought against time and a lethal illness to produce an unforgettable Body of Work. Writers’ lives are never easy. They stand outside mainstream society, toiling with no guarantee of recognition or financial reward. A woman writer’s life is perhaps doubly difficult. Writing earlier in this century, English author Virginia Woolf addressed the question “Why aren’t there more great women writers?” in her essay A Room of One’s Own. She concluded that the main reasons women were not allowed to become great writers were family opposition, lack of education, and poverty. There were two reasons for the poverty: first, because of inheritance laws, money was passed from fathers to sons; and second, women produced children, which prevented them from having the time to either earn their own money or create their own literature. Among the authors discussed here, those who had independent means to support their writing, such as Edith Wharton and Gertrude Stein, had a somewhat easier time of it. Others benefited from the changing times, pursuing auxiliary careers. Willa Cather, Katherine Anne Porter, Zora Neale Hurston, and Eudora Welty were all journalists; Pearl Buck worked as a missionary and a college teacher. It is interesting to note that those with the grimmest beginnings, such as Hurston, produced the most uplifting literature, while the most financially fortunate of the group – Wharton – produced some of the darkest tales in American literature. None of these women was “typical” for her time. 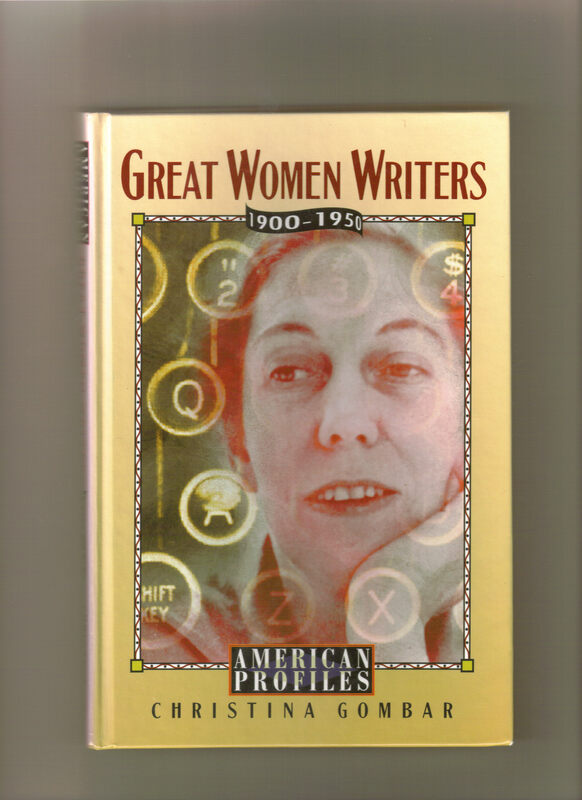 The earliest of these writers chafed at the societal constraints placed on both women and writers in America. Some dealt with the situation by becoming permanent expatriates, while others lived for long stretches overseas, savoring the freedom and enriched perspective that living abroad gave them. Only Pearl Buck had children, and only she could claim a happy and long-standing marriage. Not one woman was supported in her writing by the financial help of her husband. Many of these authors did not achieve literary recognition until they had reached middle age. Their long years of effort, often in the face of initial public and critical failure, spurred these writers to greater achievements and brought forth their best work. In the process of struggling to find their own voices, these American women writers evolved new ways of telling stories that have greatly enriched the American literary tradition. Gertrude Stein, Willa Cather, and Eudora Welty are all noted for devising fresh ways of storytelling that make their fiction seem very close to life as it is actually experienced. Though many of these authors’ can also be read as history, since they describe women’s roles in settling the frontier, in keeping families and society going in the post-Civil War South, and in raising their families, beginning with Edith Wharton a full century ago. Like all great art, the stories and novels of these authors raise timeless questions. Katherine Anne Porter can show us that long before Viet Nam, Americans were ambivalent about fighting a war abroad. Willa Cather wrote of the difficulties faced by immigrants who, hoping to find a better life in America, were faced with overwhelming hardships. Zora Neale Hurston captured a rapidly disappearing African-American folk culture; her writing raises questions about racial identity that are still pertinent today. Flannery O’Connor explored the particularly American phenomenon of violence, searching for some redeeming meaning behind it. Pearl Buck wrote of Far Eastern culture at a time when most Americans thought it not worth serious consideration; recognizing the dangers of trying to “westernize” the East, she advised Ameicans to listen to and learn from other cultures. This advice seems especially prescient today, when the idea of a global village is fast becoming a reality. In an age when films and television and even much popular literature offer a superficial view of people, these works offer a view of life in all its ambiguity and complexity. This book attempts to enrich readers’ experience of these works by providing some insight into the authors’ lives. All of the writers whose works are examined here are outstanding – for their contributions to the American literary tradition, for possessing originality and vision that continue to influence writers of today, and for having had the courage to make their voices heart.